Cruises are known for fruity, free-flowing drinks, ever-present buffets, and 24-hour room service—making it easy to bring home extra pounds as a souvenir. Couple the unlimited food options with the more sedentary lifestyle usually seen on cruises, and that cute swimsuit you brought with you could feel more like a sausage casing after only a couple of days. To return home without the kind of extra baggage that you can’t possibly check, follow these tips to avoid the dreaded cruise bulge. Make it your mission to pull yourself from that lounge chair daily to walk around—and always take the stairs. 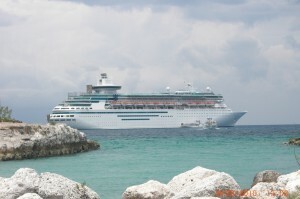 Most mainstream cruise ships have at least 11 decks and the newer ones have twice as many. Think about it…if your cabin is on Deck 2 and the pool is on Deck 11…well, you won’t need to worry much about not working out. Bonus: with thousands of passengers all waiting for the same few elevators, the stairs are often a quicker option to get where you’re going. Pick a deck or two every day and really explore (just walk extra fast past the buffet table!). In addition to getting some fresh air and exercise, you’ll acquaint yourself with the ship. Eat fruit for breakfast—it’ll keep you full longer than sugary pancakes because it’s packed with fiber which takes longer to digest. If you’re cruising in the wintertime to escape the cold, you probably haven’t seen fresh fruit such as pineapple, melons, strawberries, kiwi, etc for months. Take advantage! You can get watery scrambled eggs and frozen hash browns anytime. 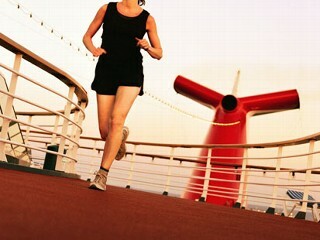 Cruises usually offer onboard fitness classes, and the downtime on ships gives you a great opportunity to check them out. Sign up for the classes you’re interested in as soon as you board the ship. Your account will automatically be charged whether or not you show up, so there’s financial incentive to get there. (More popular ones usually have an extra charge of about $10-12, which is about what you’d pay for a class at home anyway). Some ships might offer something a little different such as yoga on the beach – when do you do that at home? Plus, classes can help you meet like-minded people. Cruise ships these days are decked out with all kinds of recreation options. Rock-climbing walls, ice-skating rinks, even wave-rider pools and bowling lanes! Try something completely new, or brush up on forgotten skills. You might even find a new sport that you want to keep up when you’re back home.Or just go crazy on the dance floor (you’ll burn about almost 300 calories in an hour!). Take control of your meals. Instead of just letting the steak you ordered come to you with the bernaise sauce slathered all over it, ask for the sauce on the side. Be creative; you’re not tied to the menu as written. Ask for 2 appetizers instead of an entree. Or skip the appetizer and order 2 lobsters when you see that on the menu…just be careful with the melted butter! In addition, most cruise lines also list menu items that are designed to be more healthful so look for them too. Vacation doesn’t have to be about overindulging, but can be an opportunity to eat fresh, healthy food (it’s easier when someone else is doing the cooking!). It’s hard to avoid them…the waiters walk around all day long with trays full of the fun, colorful potions. 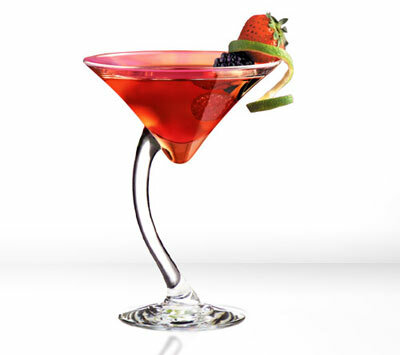 But keep in mind that an innocent looking daiquiri could pack as many as 500 calories! Have one to celebrate when you board the ship, but after that stick with wine or light beer. If you’re feeling left out of the party, ask for the umbrella and garnish to be put in your beer.